WoodGrain Brewing Co. is a fully-functional, open style, microbrewery operating an on-site 5-barrel brewing system, producing an ever-changing variety of beer styles. WoodGrain’s taproom seats 60, plus available seating in the Plaza and shared lobby areas. There is also patio access with seating for 30-40. 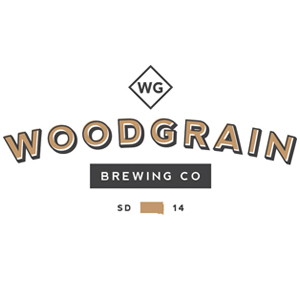 WoodGrain Brewing Co.’s taproom pours from 16 taps, featuring several in-house made microbrews and guest beers from regional breweries like Fernson, Crow Peak, West O, Brau Bros, Bank, and Take 16. In addition to draft beers, WoodGrain serves a rotating selection of in-house made craft sodas, and a variety of South Dakota craft wines. WoodGrain Brewing Co.’s merchandise selection includes t-shirts, trucker caps, glassware, growlers, and more.